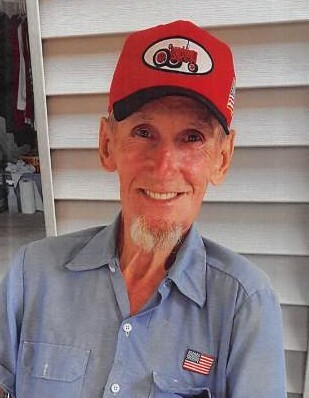 Middletown....Guy Joe Sork, 79, resident of Middletown, passed away April 3, 2019 at Community Hospital of Madison County in Anderson. He was born December 10, 1939, the son of Ross H. and Alice Book Sork. He was a graduate of Madison Heights High School and received a degree in mechanical engineering from Tri State University in Angola in 1964. He retired from Guide Lamp (Dephi) in Anderson in 1998 and served as Fall Creek Township Trustee for several years. He served as Master of the Middletown Lodge F & AM five times and was a fifty year member. He was instrumental in the building of the new lodge on State Road 236 where he served as a trustee. He was a past member of the Shriners of Indiana and the Scottish Rite Valley of Indianapolis and served as DeMolay Dad for the Middletown Chapter DeMolay #3720. He was a member of the International Harvester Collectors Club and loved antique tractors and steam engines. He was a member of the Sons of the American Legion of Daleville. He loved to farm, raise cattle and adored his children. He is survived by his daughter: Amy Sork Law (Thomas) of Chesterfield, 2 sons: Guy Joe "Chip" Sork II (Demi) of Ferdinand, IN and Grant J Sork of Alpena, MI, 4 grandchildren: Annah Elizabeth Sork, Ellen Makenzie Sork, Emma Kathleen Sork and Brittney Michelle Bourne (Daniel). Services will be held on Tuesday at 10:00 am at Ballard and Sons Funeral Home, 118 South 5th, Middletown. Burial will follow at Miller Cemetery, Middletown. Friends may call at the funeral home on Monday from 4-8 PM with Masonic services at 8:00 PM by the Middletown Masonic Lodge.